Schirmer Books, c1968, Second Edition 1976, ninth printing, 238 pages. VERY GOOD+ Condition Illustrated Over-sized Softcover. This book has light cover wear(see Scan), name on fep & a few small light interior pencil marks (which could be erased). Pages & Binding are NICE & TIGHT! 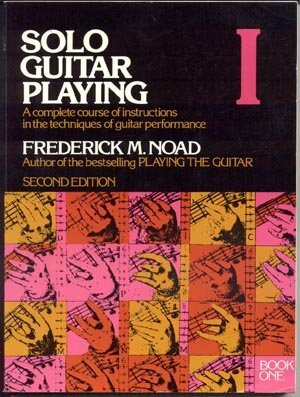 A COMPLETE Course of instructions in the techniques of guitar performance. Simple step-by-step approach offers thorough instruction in every phase of solo guitar playing including basic techniques, reading music, mastering the fingerboard, musical phrasing, position playing and Interpretation. This edition has new material on chords, scales, right hand exercises, and ensemble playingmore on ensemble playing than in any other book. The program, offering frequent self-tests to check progress, includes graded exercises, practice studies, a survey of the guitar repertoire, a generous selection of solo works, and a helpful glossary of musical terms.